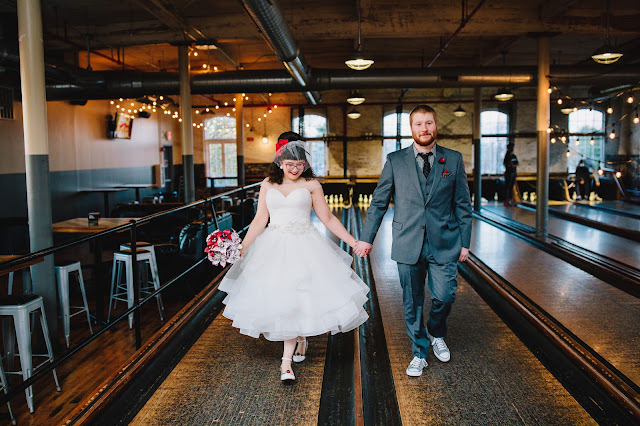 In a Nutshell...: ModCloth: More Than Just an Online Store! Hi, my name is Sara Lily and I’m a ModCloth addict. No duh, most would say to that declaration. What can I say? I love ModCloth. I visit the site constantly, have a lengthy love list, and often have those adorable periwinkle adorned boxes on my front steps when I arrive home at night. I purchase from ModCloth often. Yes, they have clothes that are more up my alley than most department stores. But there is so much more to my love for ModCloth than that. One of the things that stand out with ModCloth is their customer service. Sure, all online stores have customer service but there is just something about ModCloth’s customer service. Whether it is by chat, email, or phone, I have found the reps to be so fun, kind, and my experience has always been enjoyable. I may be upset when I call, but I always end up laughing and feeling better when I reach a rep – yes, an actual live person! Typically immediately upon dialing! Crazy, right? They’re just GOOD. I never hang up feeling more stressed than when I called. Trust me, have you ever tried calling your electric company? Mine has a recorded robot lady asking me questions and when I get THISCLOSE to being connected to a person, I cough accidentally and she starts over because she “does not understand my request.” NO! I just had a tickle in my throat! WAIT! Come back! 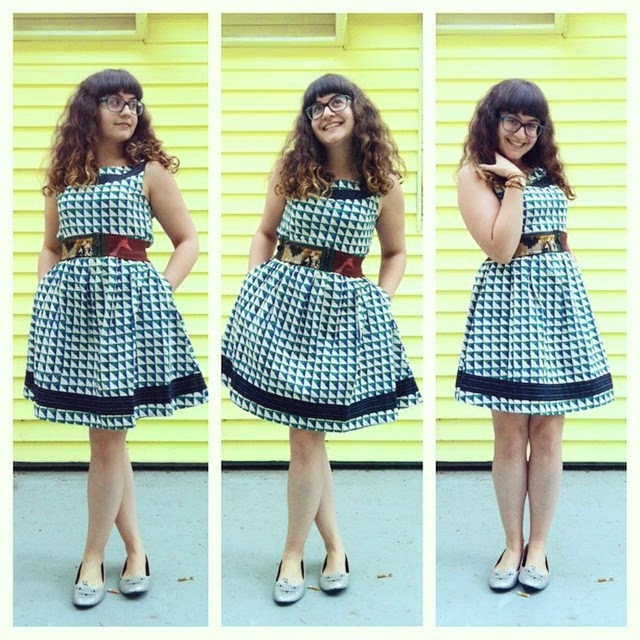 When I am on the ModCloth website, it feels like more than just an online store. It’s got this cool community vibe. The main reason for this is their Style Gallery. 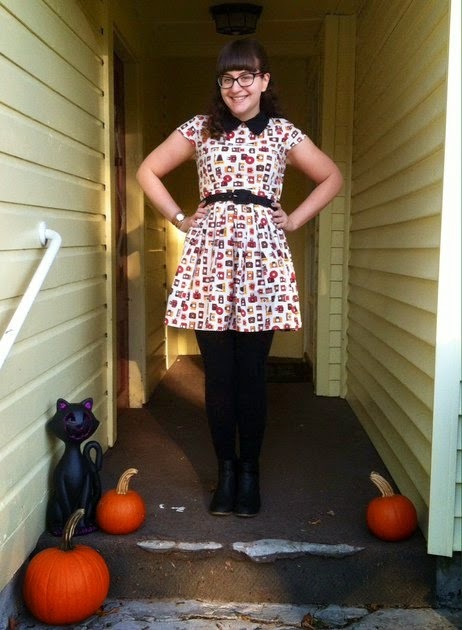 There, they encourage girls to submit photos of their outfits – whether they are in ModCloth or not! How cool is that? All the images you submit get posted into your gallery within 24 hours and they're included on the main gallery so other ModCloth gals can like your outfit but also see what you've got on and if they can get it on ModCloth! 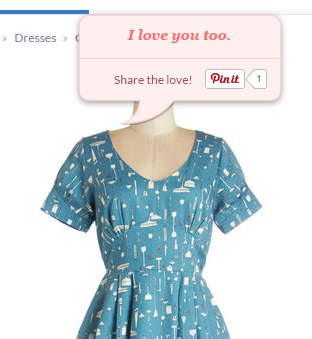 If you hover over the image, ModCloth shows you what the gal’s wearing and where you can get it on their site. If it’s not a ModCloth item, it will display suggestions from their site that resemble what’s in the image. I find this feature so awesome. Fashionistas unite! I know that I am proud of my outfits and love shopping for them and putting them together. In the style gallery, I feel a sense of camaraderie and support as well as a connection to others who feel the way I do! We’re all there to encourage each other! It’s a beautiful thing! A lot of my friends support my ModCloth addiction but say the same thing – “but they’re so pricey! How can you afford it all the time?” Sure, some ModCloth items are a bit pricier than the clothes you’d find at Kohl’s, Target, or JCPenney and there are often times when I love something but have to hold back. One of the awesome things about ModCloth, though, is that they often have random sales. Suddenly, there’s an email in my inbox telling me “20% Everything – TODAY ONLY!” Well, gosh darn, get me to the chopper, Arnold! That is when it’s worth looking at my love list and seeing what I can splurge on. You gotta act fast though - items sell out fast! Speaking of love lists – this is a favorite feature of mine. As you browse the ModCloth website, you can add items to your shopping cart or you can press the little heart icon by the item's name and add it to your love list. When you do this, not only do you get a cute love note in return from the item (too cute! ), it gets saved in your profile so you can easily find it and also watch it until it goes on sale. ModCloth makes grabbing it easy as well - they email you when something on your love list goes on sale so you don’t miss out on the deal! Yahoo! I see that email in my inbox and, I can’t lie, I get excited as I open it to see what item went on sale and if they still have my size. Talk about thinking of the customer! What’s really cool about ModCloth is their rare but oh-so-fun Stylish Surprise. This sale sells out in a blink of an eye it seems! Randomly, without warning, ModCloth will email or post on social media a declaration of their Stylish Surprise (I think it only happens a couple times a year). Basically, you pick between three categories: Shoes, Apparel, and Dresses (at least these were the categories in the recent one!). I don’t remember the price for Shoes and Apparel but I do recall that for a dress, I paid $10. Basically, you pay the $10 and you receive a mystery dress in the mail in your size. Some gals I know will drop $50 or more so they can up their odds on getting a really awesome score. Talk about serious business! It’s hit or miss whether you get a goodie or not but it’s all a part of the fun. For $10 it’s totally worth it! ModCloth does a lot of little things that just make them stand out. They’re doing it right, folks. For one, they recently signed the Anti-Photoshop Pledge (not to mention they were the first retailer to do so!) which means from this point forward none of their models will be photoshopped. This is INCREDIBLE! How daring of them! I already thought they did a great job representing different body types (you really do see girls from size 0 to 22 on this site as well as sizing ranging from XS to 4XL - it’s fantastic!) so hearing that they signed this pledge made it even sweeter to me. Another thing that rocks my socks is how caring they are to their loyal customers. Recently, they did some work on their shipping software in their warehouse that delayed orders and returns by two weeks or so. I had a return pending but I wasn't in a rush to get my store credit. Still, even though I didn't submit a complaint about it, I received a $5 coupon in the mail as an apology for the delay on my return. I mean, sure, it’s $5, but come on! No one does that! I’m a big appreciator for the small things in life so ModCloth has won my heart over for sure! ModCloth recently started the #FashionTruth campaign, encouraging their fans and clients to declare their truths on fashion, the industry, their clothing choices, and more in ModCloth’s “open casting call for all.” It’s been amazing to see women of all shapes, sizes, race, etc, share their thoughts, opinions, and beliefs on fashion – all with adorable outfit-of-the-day selfies, of course! It’s really awesome to see how far founder and owner, Susan Koger, has taken ModCloth in the right direction of empowering women! In one of the videos about the campaign, Koger states, “I want to be a part of an industry that’s making women feel like the best version of themselves and not making them feel like they aren't good enough not being a specific body type. I can’t be a specific body type. I am who I am and that’s actually a great thing so why not celebrate that and show that off?” Right on, Susan! Online Store or Girl’s Best Friend? If you’re still with me after all that blabbering on about ModCloth, awesome! I hope that my experiences and opinions on ModCloth were insightful to others beside myself. For the above reasons and more I just find ModCloth to be so on point for a clothing company. They just do things right. It’s refreshing to find a company like ModCloth. It feels weird calling them a clothing company since they are just obviously so much more. Perhaps ModCloth is more like another best friend – always on my side, encouraging me to love myself and be confident, all while providing me with adorably awesome clothes! Hey girl, what a great post! I love ModCloth with all my heart and I mean not just what is in stock but also their story and the way they're going with their message. It's an amazing and unique thing to see in our time. I hope other companies come to their senses and make similar gestures. Body positivity issues raised by a clothing store --wow, that is a truly magnificent thing to see. Hi! I love your blog and all of your outfits! Seriously, you are inspiring me to wear my brightly colored dresses even in the dead of dreary Philly winter. Also, I found your blog through your modcloth style gallery and LOVE that orange and yellow floral dress you have! Was it thrifted/vintage? Seriously, I need it or something similar in my life. Thanks! Hi Emily! Nice to meet you and thank you for checking out my blog! I appreciate it so much! You gotta keep those colors going all winter - don't let the cloudy/dreariness let you down! I'd like to think if I wear bright colors, it will keep away the gross winter-ness. haha the orange and yellow dress is vintage! I get a lot of my vintage dresses from an Etsy shop called Capsule Vintage. I wrote about it on the blog as well and here is the URL to the shop: https://www.etsy.com/shop/CapsuleVintage. She has LOVELY vintage dresses all the time!